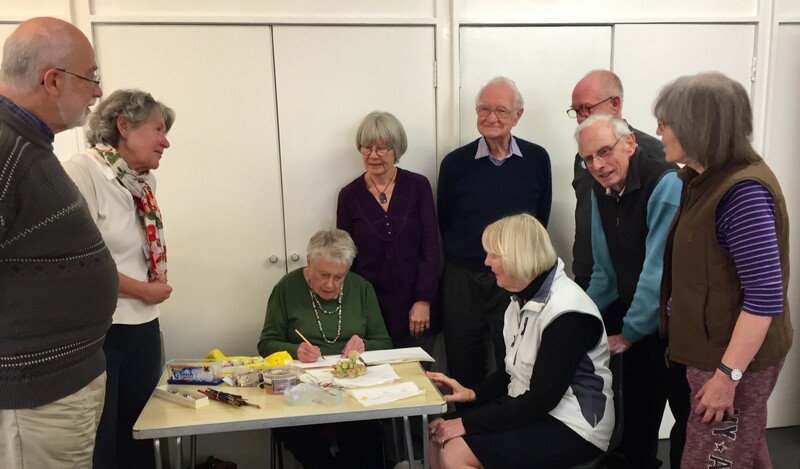 Croydon U3A has over 60 interest groups. They are listed below and a link to a printable version can be found in the box on the right. New groups are shown with a pale yellow background. Groups which are full and cannot accept new members at present are shown with a grey background. 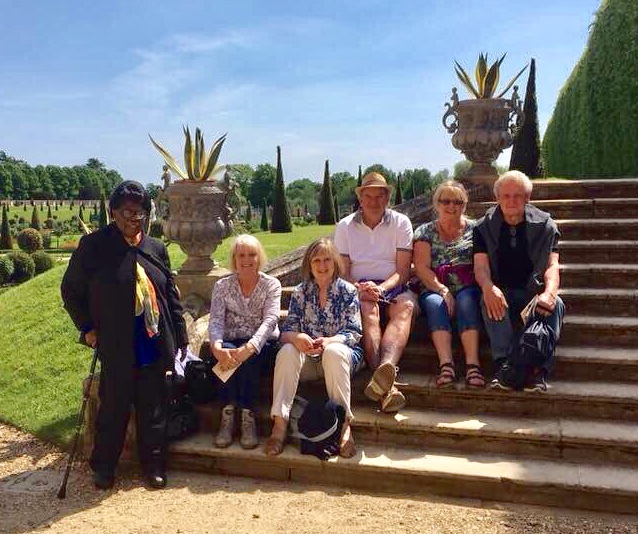 Look at Croydon U3A Activities for the full range of our groups and the days and times they meet. Groups in blue in the table below have more information. Simply click on the name. If you wish to join a group please contact the leader for more details. Their telephone numbers can be found in the Croydon U3A Interest groups list which was included in your latest Bulletin. Some groups will be full but you may ask to be put on their waiting list. We actively encourage people to join as many groups as they wish. If you have difficulties in doing this, or if you have any suggestions as to what new groups we could form, then please let us know by contacting the Groups Co-ordinator to see if we can help. We are always keen for new groups to get started and we will offer potential leaders or convenors all the help we can. If you would like to explore the possibility of starting a group or if you would like to suggest a group that we do not currently have we are always open to new ideas. Send your suggestions to the Groups Co-ordinator and we will see what we can do. Rubber Bridge is actively seeking members. Garden Design NEW course started in December. Love Gardening - 1st Monday of the month 10.30am see the page for details. Concert Goers - various days. A programme of visits is being prepared. MOTO (members on their own) - various days. Smart Phone and iPad Tuition - see your latest Bulletin for details on how to register for the next course or go to the page and use the email contact. WHAT HELP DO YOU NEED WITH TECHNOLOGY??? Do you wish you could get more out of your mobile ‘phone? Do you have an iPAD or laptop that you can’t use? Do you wish you could talk to your grandchildren on Facetime? Do you want to have Alexa dial ‘phone numbers when you ask? Do you want your own email address to save on envelopes and stamps? As part of our Development Plan for 2019, the Committee would like to see if you would like help with technology. Amongst a host of other things, technology can help you keep in contact with your family, find answers to any questions you have by using the internet, know when the next bus is arriving at your bus stop or arrange for your shopping to be delivered. It might be that you are just frightened to start. It might be that you think it’s too difficult. It might be that you just haven’t had the time. It might be that you think you are too old to learn new skills. It might be that you think the kit is too expensive to buy. If you can overcome these barriers, there is no limit to what technology can help you with. I would like to talk to any members who feel they would like help with technology to see if there is any support that the U3A could provide. Please contact me at any General Meeting (I am usually on registration), call me on 07710 244 601 or 020 8657 7973 (leave a message if I don’t answer) or email me on joyellery@blueyonder.co.uk. If there is sufficient interest shown - Making Music, Board Games, Turkish Conversation, Ghanaian Food Tasting. There are other London U3A Groups which our members can apply to join: one topic is Philosophy at Dulwich, Lewisham, Banstead or Sutton. You can download a register continuation sheet here, you should have been sent a new first page by post. Resource: If you want to know more about our laptop computer, digital projector & DVD player and would like to use it with your group, email the digital projector keeper to make a booking (help will be given to use the projector). Click the U3A link to go to the Third Age Trust website. The website has been updated and is now very user friendly. Group Leaders wishing to borrow materials from the resource centre will need to register first. For those who would prefer to study on their own look at the online courses available to all U3A members at Future Learn and MOOCS (Massive Open Online Courses). The Virtual U3A is another facility we can use which is particularly useful for members who have mobility concerns or are too busy during the day and would like to join virtual groups which can be accessed in the evenings and weekends. Please click on the link to go to the site or read more about it in the News page.